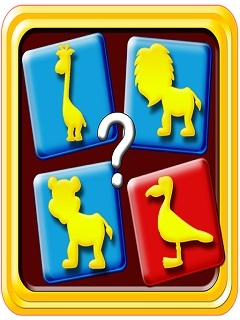 The simple puzzle game for kids, have to spot the difference between the four images. Find out odd one and tap on image in this puzzle picture game. Keep uncover the differences and move ahead to next levels. Kids will enjoy playing this game anytime, anywhere!!!!! The best thing about this game is you can play it with a single finger, just find the difference and tap on screen to pic the picture. &bull; Enjoy balloons pop after completing every level!!!! Download and play free puzzle game now which improves brain activity, observation and concentration skills, and brain exercise for kids and toddlers. Play and Enjoy amazing pictures of toys, fruits, nature, animals and many more. CRAZY FROG RACER BY S..
8 in 1 Arcade Park fo..